I read this article and found it very interesting, thought it might be something for you. The article is called Lenfest, Marguerite & H. F. “Gerry” and is located at https://www.medalofphilanthropy.org/lenfest-h-f-gerry-marguerite/. In The Gospel of Wealth, Andrew Carnegie advocated that the rich man act as a “trustee for the poor.” When the sale of their company transported Marguerite and Gerry Lenfest into a new realm of privilege, the couple conceived of a plan that could have been scripted by Mr. Carnegie himself. An attorney by training, Mr. Lenfest joined Davis Polk, one of New York’s most distinguished law firms, then transitioned into publishing in Philadelphia. He eventually purchased two local cable companies that became Lenfest Communications. Mrs. Lenfest, meanwhile, taught elementary school for several years. Both the Lenfests attribute their accomplishments to the discipline they acquired at school and university, so it is no surprise that education became a cornerstone of their philanthropy. 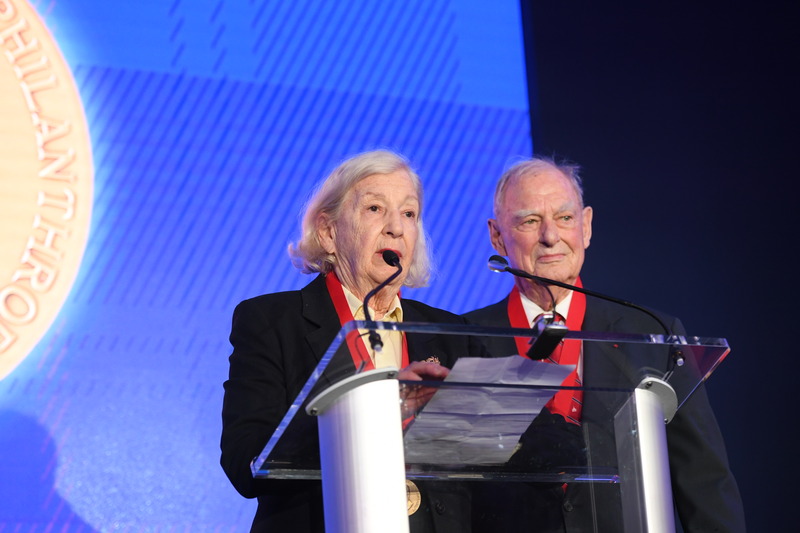 The couple are deeply involved in the operations of the Lenfest Foundation, which they established in 2000. With programs that extend from preschool to university, the foundation supports “promising strategies that will have a life-changing impact” on children in Pennsylvania. The Lenfest College Scholarship Program, for example, has had an immeasurable impact over many years on students in rural Pennsylvania. In 2011 the foundation’s board of directors expanded its focus to the underprivileged youth of Philadelphia. Making this at-risk demographic a priority, the foundation developed a multiyear, comprehensive plan focusing on career development and leisure-time programs for early learners and junior high school students. The scope of the Lenfests’ philanthropy, however, reaches far beyond Pennsylvania, the state they love and have long called home. Columbia University, for one, where Mr. Lenfest attended law school, references the “Lenfest Effect,” a term coined to characterize the transformational nature of the couple’s support. Nearly unprecedented in both scale and range, it is felt from the institution’s law school to its medical center to the Earth Institute. In addition, the Lenfests established the Lenfest Ocean Program, a grantmaking organization in Washington, D.C., managed by the Pew Charitable Trusts, which funds research that influences regional and global policy to protect the world’s oceans. 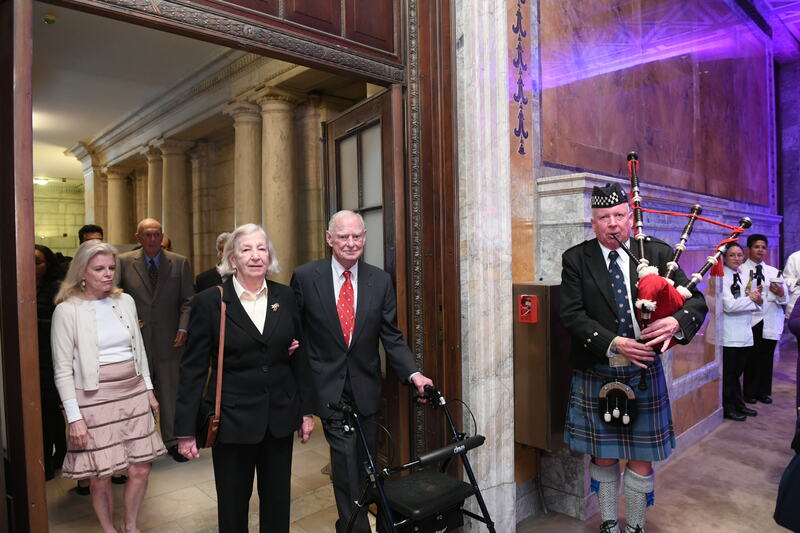 In 2016 Mr. Lenfest donated the Philadelphia Inquirer, the Philadelphia Daily News, and Philly.com to the Philadelphia Foundation, a local community foundation. Thanks to a generous endowment from the Lenfests, the Lenfest Institute for Journalism is now also part of the foundation’s special assets. Today it is the largest public-benefit news organization in the United States, committed to protecting the integrity of journalism in the region and fostering its evolution to a digital format. Perhaps one of the most revealing characteristics of the Lenfests’ generosity and authenticity is their innate modesty. In the early years of their philanthropy, they purchased a large plot of land in Chester County, Pennsylvania, with the intention of building a substantial home on the property. The foundation was excavated and the rebar was being placed when the Lenfests abandoned the project. They instead purchased two adjoining properties to create ChesLen, a sprawling 1,263-acre nature preserve where the public is free to walk dogs, ride horses, and enjoy the unspoiled landscape. Meanwhile, the Lenfests remain in the modest home they purchased in 1966. 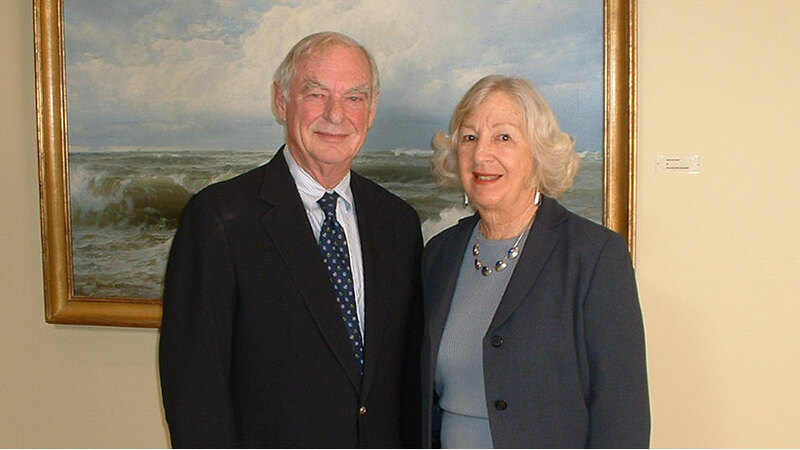 Mr. and Mrs. Lenfest have received numerous recognitions and awards, honorary doctorates, and instrumental board assignments for the earnest, steadfast, and wide-ranging scope of their benevolence. 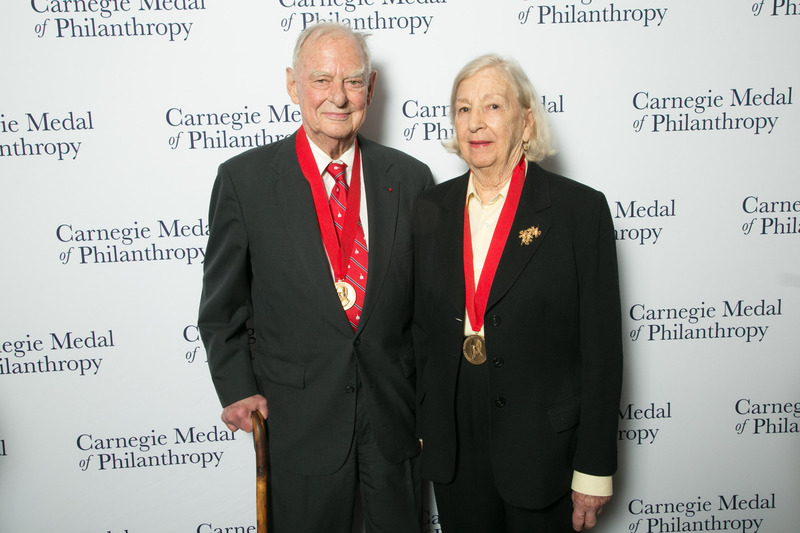 The Carnegie family of institutions hails them for embodying the essence of generosity, altruism, and dedication to the common good, and wholeheartedly welcomes them to the distinguished roster of recipients of the Carnegie Medal of Philanthropy.